Melbourne, Perth, Brisbane and Sydney are you ready to have the giggles of your life? If not, prepare because Trevor Noah is heading back to Australia in August. Titled End of Days, Trevor Noah’s Australian tour will take place at the areas mentioned above from 23 to 30 August 2018. Tickets go on sale at Ticketek on March 26. Read on. You probably know whom Trevor Noah is, right?! Yes, the host for Comedy Central’s late-night political talk show; The Daily Show. Noah succeeded the legendary Jon Stewart in 2015. The South Africa-born host and comic speaks eight languages and likes using impersonations and accents in his comedy. Noah is also known for touring his first one man show back in 2009. He also sold-out tickets for his second show, The Racist, at the 2012 Edinburgh Fringe which was the festival’s most talked about shows. Noah has nine comedy specials under his name including his latest release; Afraid of The Dark. The comedian recently announced his Aussie tour is coming up in August. 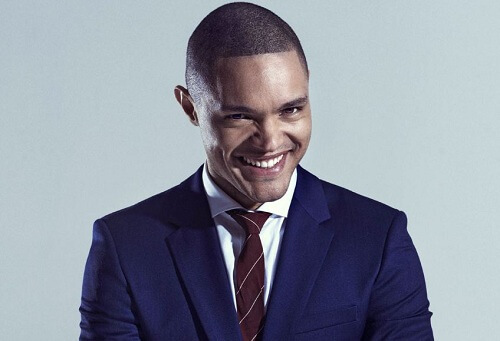 Trevor Noah will be travelling four Australian cities in August and tickets will be on sale by 9 am on March 26 via Ticketek. Be sure to get yours before they are sold out! In the meantime enjoy playing your favourite pokies and live table games at the best Australian online casino sites.